Careers for graduates: learn about helping clients operationalise their customer driven strategies. Careers for graduates: learn about customer driven strategies. Technology has shifted more power into the hands of customers. It is becoming increasingly important to meet their expectations for convenience, speed and personalisation. Over the next five years, almost 90 percent of companies* expect to be competing on customer experience alone. The Customer, Brand and Marketing Advisory (CBMA) team is focused on helping clients operationalise their customer driven strategies to stay ahead of a disruptive economy. We equip them with the tools and advice, recommendations to better understand their customers, embed operational excellence and achieve sustainable growth in today’s dynamic market. CBMA is a diverse and focused team led by industry leaders with a wide breadth of specialist knowledge. Our team is a fun and supportive group with varied interests and backgrounds. We are collaborative in the way we work, teaming up with other service lines and sectors to provide our expert advice from a customer lens. Our services span across Customer Strategy and Experience, Marketing and Sales Transformation, Marketing and Brand Advisory, Media Value Advisory, Design Thinking and Innovation, Social Media Advisory as well as Market Research and Insights (KPMG Acuity). The average day is non-existent, which makes the job both challenging and interesting! Our day-to-day work is dependent on both the client’s need, as well as the business and team’s needs. Whilst on an engagement, you and your team will be working shoulder-to-shoulder with the client to develop the optimal solution to their business problem. You may be facilitating workshops, engaging with stakeholders, analysing data and information, and developing reports and presentations. On other days, you will be assisting the team with internal projects, business development and proposals, or participating in team meetings and training. The skills and knowledge you will learn in your first year will be imperative to your growth and development as a consultant. As you continue to build on what you have learnt at university, you will have the opportunity to acquire many new skills and apply them to projects and engagements. These include both technical customer advisory skills and the ability to build trusting and effective working relationships with clients. You will gain a lot of experience and exposure to different industries, and learn how to address business problems first-hand from a team of seasoned consultants. 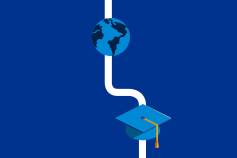 KPMG will coach your professional development and set you up for success. The best part of the role easily comes down to the people you meet and work with at KPMG, as well as the variety of projects you get to work on. Our CBMA team and the broader firm are a group of smart and driven individuals from a diverse range of backgrounds. We prioritise personal and professional development, and foster a supportive and enjoyable working culture.